Ari Goldman's best-selling book, The Search for God at Harvard, chronicled his search for signs of genuine religious faith at Harvard Divinity School. He concluded that God was not very evident at the prestigious Ivy League campus. 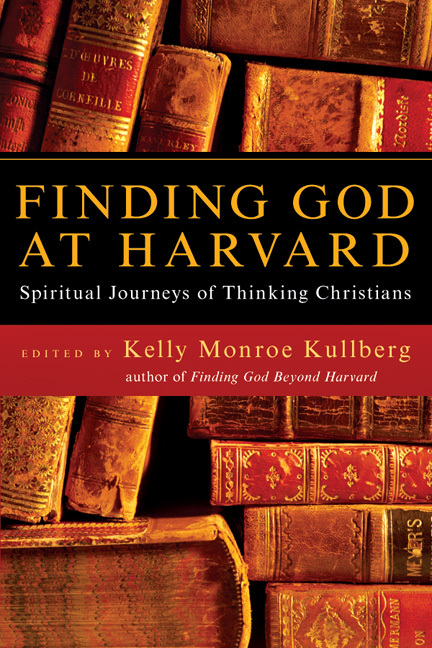 In Finding God at Harvard, Kelly Monroe Kullberg reveals a different picture of Christian faith in a secular intellectual setting. She presents the compelling testimonies of forty-two faculty members, former students, and distinguished orators at Harvard. Their candid reflections explode the myth that Christian faith cannot survive a rigorous intellectual atmosphere. Finding God at Harvard speaks to the emptiness that haunts college campuses across the country--an emptiness that only Truth can fill. As Monroe's contributors so vividly show, that Truth is available to everyone. With contributions from Robert Coles, Aleksandr Solzhenitsyn, Armand Nicholi, Nicholas Wolterstorff, Lamin Sanneh, Elizabeth Dole, Owen Gingerich and Mother Teresa. "This book is desperately needed today for it provides the profound--and only--remedy for a society devastated by secularism." "I have long believed that too many believers weren't defeated at our premier academic institutions; they simply abandoned the territory. Kelly Monroe shows that while many believers left Harvard, God didn't, and he may continue to be found wherever people truly seek him." 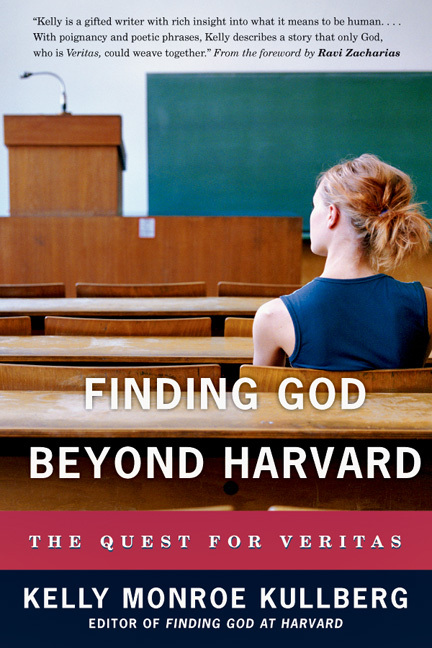 "Finding God at Harvard is a wonderful piece of work, bringing together intellectual excellence and spirituality." "It is only natural that those who seek the truth, be it intellectual or spiritual, will only find what they are searching for in the person of Christ." "When I read Ari Goldman's discouraging story of not finding God at Harvard, I wished he could have known the bright and committed Christian students and faculty that I have met at Harvard. They are well-represented in this encouraging and stimulating collection of essays focused on the importance and validity of Christian faith. Here is nourishing and uplifting food for the spirit, as well as the mind. In an intellectual environment of confusion, disillusionment and cynicism, here are notes of hope, integrity and joy." "The greatest controversy of our age is the crisis of truth. This book is a wonderfully reasoned defense that ultimately points to the One who is the source of all truth." "These compelling stories demonstrate that faith in search of understanding, and understanding in search of faith, go on in the most unlikely places. Finding God at Harvard testifies to the fact that God can find us anywhere." If you are looking to stretch your beliefs, your place in the universe and where God fits in this equation, this book may help you to go beyond normal "theology" discourse. Hope in a Secular Age by Armand Nicholi Jr.
From Prophets to Profits at HBS by Robert K. Massie Jr.
Cambridge, Countries, and Christ by Robert Beschel Jr.
Kelly Monroe Kullberg is founder of the Veritas Forum and editor of the Boston Globe bestseller Finding God at Harvard: Spiritual Journeys of Thinking Christians. Since founding the first Veritas Forum at Harvard in 1992, she has traveled across the country helping start Veritas Forums in dozens of universities. For many years she also served as chaplain to the Harvard Graduate School Christian Fellowship. She is now director of project development for the Veritas Forum and lives with her family in Columbus, Ohio.